Low arches are a common shape of foot seen in many people. Having low arches is completely normal, as some people have low arches, others have high arches, and many people have arch heights in between the two, in the so-called 'normal' range. Having low arches is not a bad thing, but it can make certain foot conditions more likely to develop. 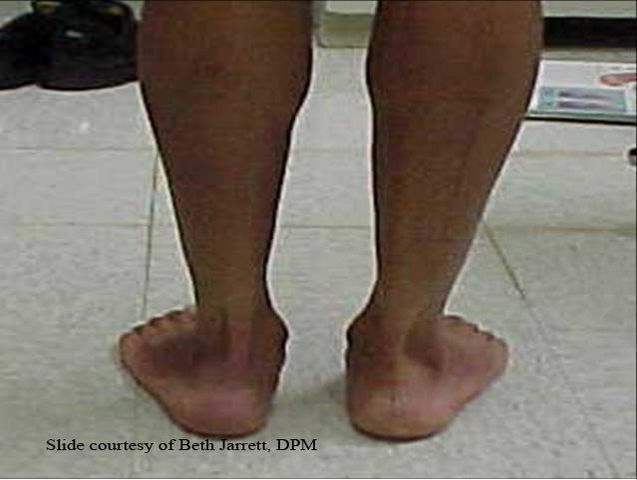 People with low arches tend to strain their feet everyday simply by standing and moving. This can lead to eventual strain and damage to foot tissue like tendons and ligaments. Common conditions that develop from this include plantar fasciitis, posterior tibial tendonitis, neuromas, as well as general tired, achy feet. Low arches can also cause instability in the foot, which over time can lead to a deformity in the way the foot is shaped. Common deformities that develop from this include bunions and hammertoes, which slowly develop over time due to the complex ways the foot instability alters bone and joint positions. Most people with low arches benefit from some form of external arch support, be it an off-the-shelf arch support insert or a custom orthotic, depending on the severity of the deformity or the symptoms. A much smaller number of people may need reconstructive surgery to permanently reposition the foot into a more 'normal' arch shape.